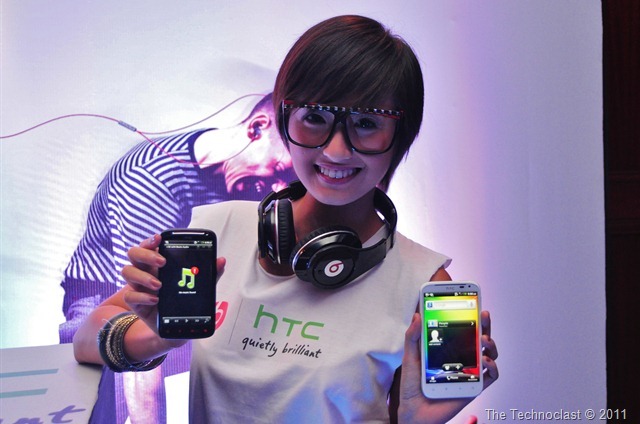 Looks like the partnership between HTC and Beats by Dr. Dre have finally come to fruition here in the Philippines as they have launched the first two phones to feature Beats audio technology – the HTC Sensation XE and Sensation XL. These two new phones are the highest models that the Taiwanese giant currently offers and will be bundled with a pair of Beats in-ear headphones and software enhancements to improve the quality and experience of listening to your favorite music. The Sensation XE is powered by a dual-core 1.5Ghz processor for improved performance, while the Sensation XL sports a larger 4.7” screen for a better multimedia experience. The HTC Sensation XE is currently the flagship phone in the lineup, succeeding the already-quite-amazing Sensation before it. While most of the form factor remains the same, they’ve upgraded the internals a fair bit – giving the dual-core processor a boost to 1.5Ghz and increasing the battery to 1730MAh. Most of what made the Sensation popular is still present – including the 4.3” 960×540 display (higher than competitors’ 800×480), 8MP Camera with dual LED Flash, 1080p video recording, VGA front facing camera, and all running under Android 2.3 with HTC Sense. Aside from the increase in processing power and battery life, you get customizations in the form of a new Beats design and audio enhancements. The Sensation XE now sports a Beats logo in the back; a sleeker black aluminum design; and red accents over its earpiece, capacitive buttons, and camera module. Finally, instead of the standard headset, you get a custom Beats in-ear unit and software enhancements to improve the overall listening experience – a welcome addition, since most phones don’t offer quality buds or sound enhancements. 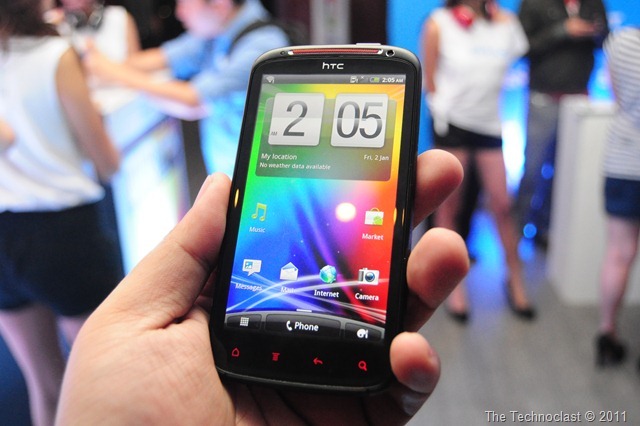 The HTC Sensation XL is one of the largest smartphones available from HTC – with a whopping 4.7” capacitive screen designed for great multimedia playback, gaming, and near-tablet-level ease-of-use. The Android 2.3 Gingerbread device features a 1.5Ghz processor, large 4.7” 800×480 resolution screen, 8MP Camera with dual LED flash, 720p video recording, and 1.3MP front facing camera among the usual Android connectivity suite. What sets it apart, aside from the larger screen, is an upgraded camera module with a 28mm f2.2 lens and backside illuminated (BSI) sensor that should deliver great pictures even in low light. Of course, the Sensation XL incorporates the popular Beats Audio enhancements and the bundled headset for a much more improved multimedia experience. To see more of the Sensation XL and its features, check out the First Look video below. The HTC Sensation XE is available now for an SRP of PHP 31,500 (lowest street price: PHP 26,300), or you can get it through Smart’s Postpaid Plan 2000. 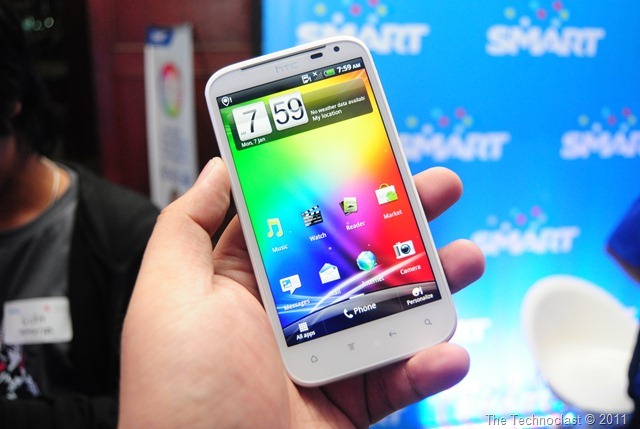 The HTC Sensation XL will be available at Smart and HTC retailers for the Suggested Retail Price of PHP 32,500 by the end of November. For more pictures of the launch event, check out the gallery below.